Home / CDN explain / CDN network / What is a CDN and why your website needs it. What is a CDN and why your website needs it. Whenever someone talk about speeding up your site, content delivery networks (CDN) is a name that you will always hear. CDN has become one of the easiest way to load your site faster. In fact, all the speed checking tools like a gtmetrix recommend using good content delivery network to improve the performance of the Google page speed site. people with technical background are aware of the benefits of using CDN and and content delivery network but non- technical people find it to be an alien words . well there is nothing to worry about because in this blog post I will tell you about, content delivery network and why I should use it in detail. 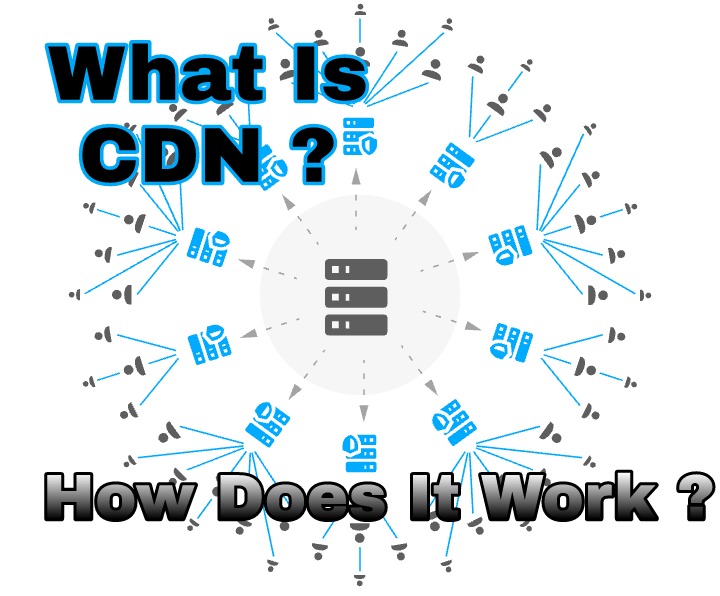 What are content delivery network (CDN)? Let me tell you about it in the layman language. generally we use shared hosting and all over files are hosted on a data centre . for example: my files are hosted at knownhost and I use that Texas Texas data centre. now whenever a user opens mobile75help.com the request goes to my data centre in Texas and in this way my files and sites are loaded on his Browser. But due to this there is high ping and latency and therefore it takes time to load the site based on the location of the user. Now data centre on the content delivery network are located on different geographical locations and when you are site uses of CDN network, and when a reader open your site, then you can access your files from the nearest data centre of the CDN and network. images, stastic files are served. This reduce ping, latency and thus your site load faster. this is the first and Prime benefit of using Cdn. In other words, the user technique colled content replication, in a which your content is copied to different servers located in different regions . a good city and service will have multiple servers at different locations. when you serve your wordpress or any other website file using content delivery network, you technically is save time for your readers and reduce server load, because files will be surved from other servers and not your hosting Company. What are the benefits of using your CDN/ website.? CDN has many direct benefits like, the speed of your page is better, due to your site being loaded rapidly, your readers clients customer will be more happy your search engine ranking will be better and most important is on your Limited bandwidth hosting you save money. Google has long clarified that the page load time is a factor of the search engine ranking and you will speed up your site significantly using the content delivery network service . Apart from this, it will also help in reducing the bounce rate and the faster you are page / content loads for any website the better it is. When you use dedicated or VPS hosting or any other Limited band with hosting, the use of Cdn will greatly reduce your cost. CDN are much cheaper than web hosting and because your files will come from Cdn service so you can do not have to worry about the bandwidth cost of your web hosting. As I mentioned above, it helps to improve your site's load time and your site will serve faster. which will cause more sales and conversion. when a site takes too much time to load, it is so irritating. Whenever your blog post become viral, there is a hug traffic on your server and due to this, your site "internal server error " start giving an error like "database error" with a good content delivery network service can easily minimize time and your site can handle more traffic. There are many people free and paid services like cloudflare, Amazon cloudfront, maxcdn and Soon you can expert Google on public CDN service. It does not matter how big or small your site is, the use of content delivery network service will definitely help Boost Your site's load time and server response. newbie only have to set up a hard part. Share my next article. So, how many of you use the CDN and which CDN are you using for your wordpress blog? do you think that serving your site using content delivery network is essential and beneficial to blogger. any questions ? request? advise? anything else? If you like this post , please share it. join us on Facebook, Google Plus and Twitter do not forget to subscribe to us.